It is the 1800s and you and your team are faced with the task of creating a monster after inventor Alec Smart and assistant Tricity mysteriously disappear. The pair have invented Alectricity which can create life – but only when lightning strikes. The storm is coming and your team has 90 minutes to finish the monster creation and find out how to escape the inventor’s castle. Frankenscape is the first game on offer at a new escape room venture in Cliftonville. CTRL ALT ESC, based at the former Golden Dragon takeaway in Cliff Terrace, is run by Thanet family team Marie and Geoff Musselbrook, from Margate, and their nephew Colin Taylor and fiancée Laura Portanier, from Minster. 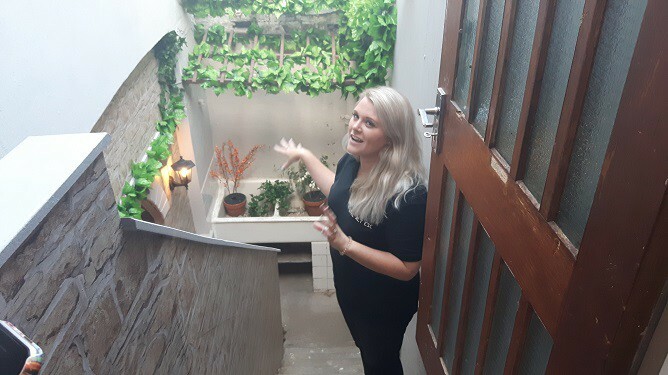 The fully immersive, 4D game came to fruition after Geoff and Marie experienced their first escape room in Amsterdam some three years ago. Enthused by the experience they asked Colin and Laura to join them and CTLR ALT ESC was born. 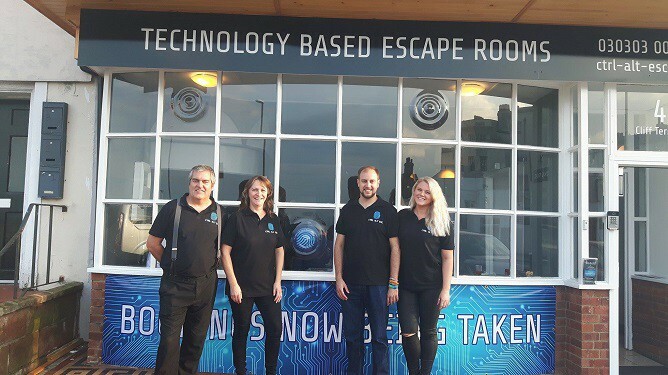 Geoff, who also owns Kent Tech telecoms and IT business, has brought his computer know-how to the project to bring something new to the escape room experience. Instead of the standard padlock and combination lock puzzles the games are completely computer based, using electronic systems to create a wider variety and more challenging, yet entertaining, escape game. The family, with some held from the landlord, have completely refurbished the site, creating a light filled admission room before gamers take the route down the stairs to a door guarded by gargoyles. Every piece of the site has been designed and made by the family, including the creation of the room and puzzles. CTRL ALT ESC also charges a simple flat rate of £70 which allows up to eight players into the room with an increased time of 90 minutes. However, to make the leader’s board teams need to complete inside 60 minutes. CTRL ALT ESC has been open for two weeks and already its first room, Frankenscape, has proved so popular that the family are now working on the second room – although the theme is top secret! The building has scope for up to four rooms so is an evolving project. 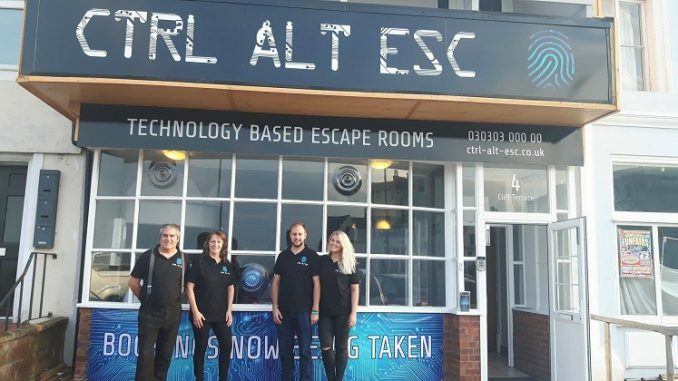 CTRL ALT ESC is open from 10am to 10pm seven days a week and is suitable for families, friends and corporate team building.